Yippee it's sketch challenge time at Just Add Ink this week!! 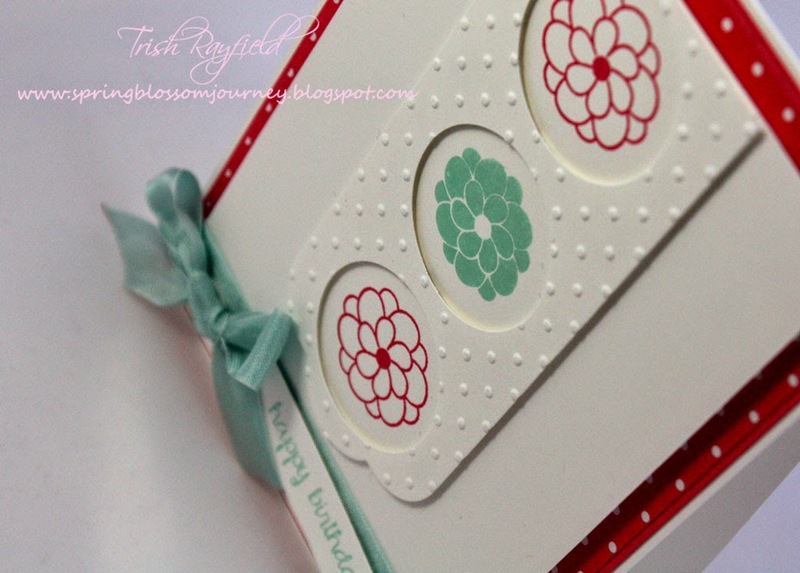 I've picked a flower fusion stamp set from Papertrey Ink to use on this sweet little birthday card. 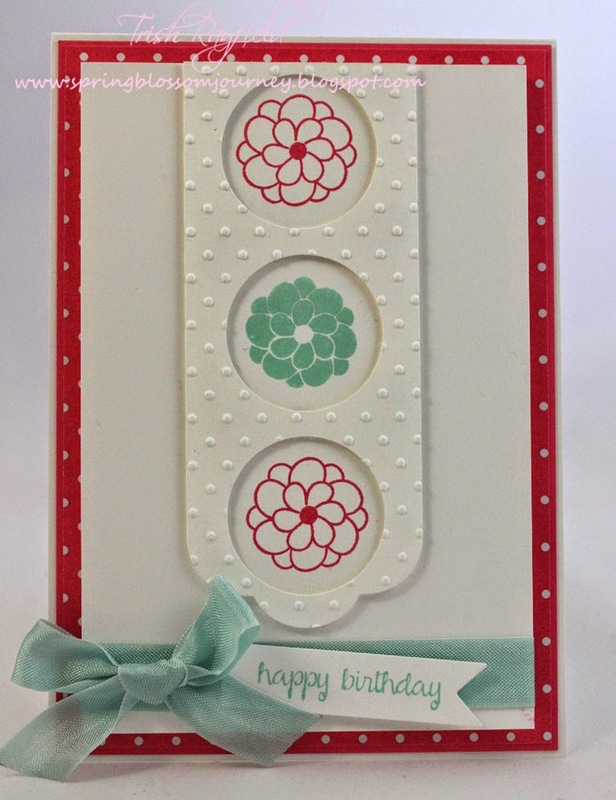 While this card looks fairly simple I found it took me quite a while to line up the circle punches and the flower stamps! The pink looks pretty red in these photos but in real life it's pink! The Design Team have created some beautiful cards this week but I can't wait to see your take on this sketch so don't forget to link up!! I'll be taking a little break from my Just Add Ink design commitments but I'll be back before you know it!!! Your card is very sweet Trish. The effort spent on the circles was well worth it!